Click the button below to add the Dry Scalp Shea Butter to your wish list. Our Dry Scalp Shea Butter is made with potent ingredients to soothe and revitalize both hair and scalp for a clean, flake-free appearance. Free of silicones, mineral oil, petroleum, artificial colors and fragrances, this cream will moisturize dry scalps and other scalp issues. Formulated with antibacterial and antiseptic ingredients that assist in fighting scalp irritations and infections, our Dry Scalp Shea Butter will relieve flakes and control dryness. Provides fast relief for sensitive scalps, stops burning and flaking with nutritive moisture. Prevents flakiness and moisturizes the scalp. Made with the best ingredients from nature to revitalize, invigorate and replenish the scalp. Shea Butter has antioxidant and anti-inflammatory properties that protect the skin and hair from free radicals. It softens and protects hair from the environment and restores dry, damaged hair by infusing it with moisture. 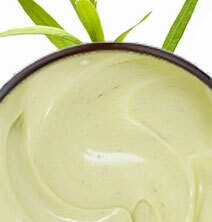 Cupuacu Butter is a great hair moisturizer, which helps strengthen hair and promote a healthy scalp. Illipe Butter has been used in skin and hair care products for restoring, strengthening and providing elasticity to hair while infusing it with moisture. Karanja Oil and Shea butter quickly refresh and moisturize dry scalps without being greasy or unmanageable. Can be used on wet or dry hair as often as needed on all hair types and is color safe. • Use moisturizing conditioners if you have dry hair. It will infuse moisture into the hair and maintain its health. 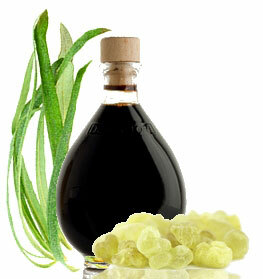 • Apply hot oil treatments to hair to improve softness and manageability. • If you have fine or thin hair, apply a small amount from the midshaft to ends. Avoid the roots. • Use a leave-in conditioner to moisturize and soften hair. This will prevent breakage and further damage. Is Silky smooth. That's the best way to describe my hair after using this wonderful product. You will not be disappointed! It's especially good if you wash your hair, and, before blow drying it, you rub it in your hands, and just smooth it all over the wet hair. Blow dry as normal and the hair comes out silky, shiny, and gorgeous. II love this product! It is lightweight and doesn't leave a residue feeling on your hair. My hair was silky soft, and there was no frizz to be seen. I never go without a leave in conditioner in my hair, and this is one of the best have ever tried. I absolutely love this product. It truly does smooth and softens the frizziest hair around, plus it gives a little bit of hold. My hair is gorgeous! I say bring on summer; my curls are ready. My husband and I were looking for a cream that would diminish that the dryness from our scalps. We have used this several times, and this cream leaves the hair soft and the scalp free of patches and flakes. I think that my husband loves this product more than I do!